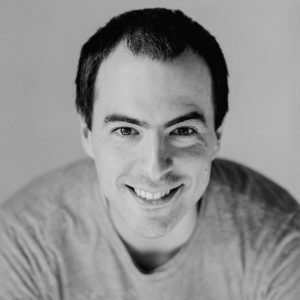 My name is Tom Beck – I am a 37 years old passionate entrepreneur, Blender Foundation Certified Trainer, Blender & software developer, designer, husband and dad and have been using Blender for about 17 years (at that time Blender was still using the Publisher Key – does anyone remember?). In addition to my permanent position as a software team leader at a medium-sized company with 8000 employees, I have been offering software development, (3D) design training and consulting services as the CEO of “Plasmasolutions” for medium-sized companies in the last 15 years – and still do. I travel to studios all over the world to integrate Blender and Open Source software into digital content creation pipelines and train employees of 3D studios and universities in Blender – I see the problems that new advanced and pro users struggle with when using Blender, everyday! At the beginning of 2016 I launched a YouTube series (the Blender Developer Sneak Peeks) which gives you an insight into the currently developed features during the Blender development and make more transparent which changes and new developments Blender will contain in the next version. The birth of Louis – my first child – distracted me a bit from continuing the series (he’s amazing), but the far bigger “distraction” was the love for Blender and teaching – which caused me to sit down 2 years and write the 2nd edition of the most comprehensive German handbook for Blender today – and it’s English counterpart – “Blender 2.7 – the comprehensive handbook”. I hope that the following sections will not only show you why writing this book was such a big effort, but also how this book will support you on your everyday journey to learn Blender, massively improve your #b3d and 3D skills and understand how & why Blender works the way it does. Interested in the history of this book? Click me to reveal it! When I was by a asked by a German publisher to write the very 1st edition of a comprehensive, in-depth handbook for Blender, I had no idea what writing a book for Blender would mean – and how challenging it would be to describe an ever changing colossus like our beloved Blender in a depth that meets my standards. I wanted to not only explain the integrated tools and features in detail, but also explain (with real-life examples) why they are there and what they cause internally – so you can decide wether or not you should use / activate this feature in your own projects. This approach will show you the real life origins of the tools, improve your knowledge about the application of the tools & features in your own projects and will also also enable you to build new solutions on the existing ones, because you deeply understand how they work. On top, I wanted to release a book that was targeting the last Blender version that was available on the release date. As you can maybe guess already, this was no easy task – but I was sure that I can make that happen! Long story short: I needed over 9000 working hours for the first and over 8500 working hours for the second edition of the book. You may wonder now why anyone would put over 3 years of its life into a book and what took me so long?! 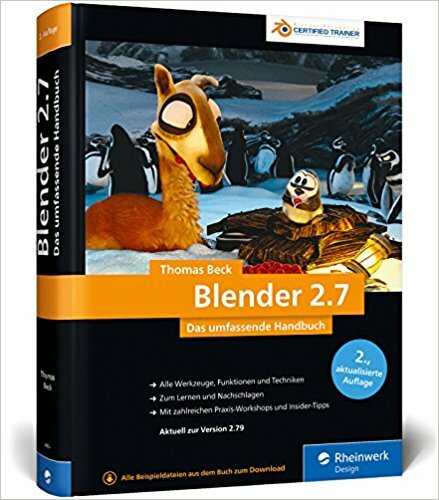 To anticipate it right away – it has become the biggest, most up-to-date and most comprehensive book about Blender ever published in the German market – my readers and critics love it! Around the release of the second edition (end of 2017) there was one question coming multiple times every day on twitter, YouTube via mail and when giving international Blender courses : “Is there an international version available, and if not, is it planned“? And indeed, I was laying out the structure of an international version since 2015 – this time as an eBook to ease my pain on updating the book. At the end of 2017 I confirmed its existence & therefore built up the pressure, hired an English translator and refreshed the complete book (again – several times). More than 250 images were completely recreated to clarify their meaning and countless pages altered to reflect changes in the transition from 2.79 to 2.79b and to make some instructions more clear. After writing for almost 6 years now in a dark cave and rarely getting a glimpse of sunlight, I could not be happier to release the international version now to an international audience – refreshed, fine-tuned and improved in so many ways. It contains 17 chapters full of Blender knowledge and hundreds of tips & tricks that you’ll find nowhere else. 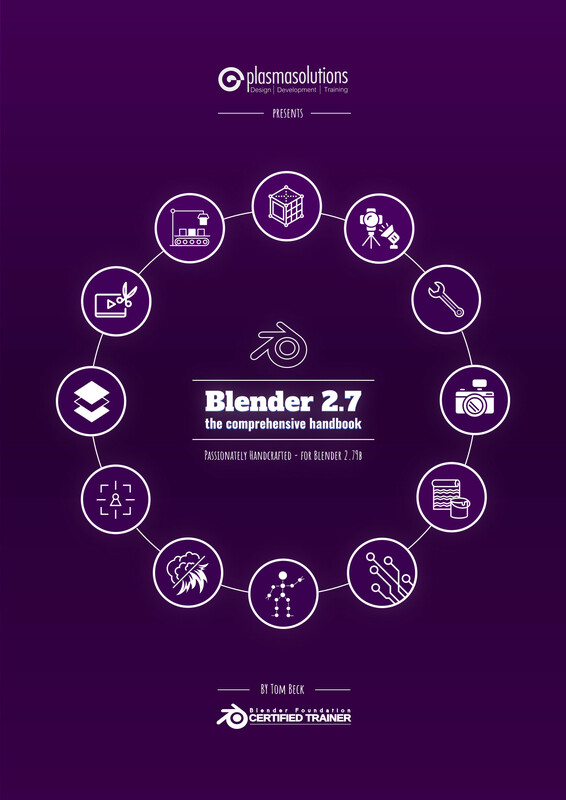 Illustrated with over 1300 images on more than 900 A4 pages and written for version 2.79b, you’ll find every major tool and almost all minor gadgets explained in depth that Blender offers you – even some features from the yet to be released Blender 2.8 are shown at the end. More than 250 Blender files complete the package and show you interactively how some of the simple and many of the more advanced features are supposed to work. Phil Gosh: Blender people!! This is easily the best Blender resource one could dream of, definitely check it out! @plasmasolutions created something awesome, can’t imagine how much hard work and dedication went into this! This book is your companion on your voyage through the whole Blender world – therefore it goes without saying that I explain every detail of Blender’s different areas thoroughly and with all the background that is needed to understand the specific features contained in it. Be assured though, that I don’t forget the practical elements: Exercises will help you to get to know your new tools and will make you step by step more proficient with Blender, while countless example blend files will show you live, how a feature is supposed to work. Helping people to help themselves is my credo – in my opinion this is the most sustainable and best way to develop your abilities. These two chapters will introduce you to Blender and the digital content creation pipeline that it offers. In the first chapter, you’ll see through which phases a typical project passes from start to finish and read about the history of Blender, its Open Movies and how you install it. All that the third chapter is interested in are objects and how you manipulate them. You’ll get to know different coordinate systems and modes (object, edit, …), see how you add, delete, duplicate and transform objects and learn how to use Blender’s unit system. At the end of the chapter, you’ll learn more about parenting in Blender (without having to have kids), you’ll learn how Blender’s data block system works and how you use it in Blender libraries to your advance. The fourth chapter shows you how to change the internal structure of objects, which types of modeling exist in the wild and how you tame them. You’ll use Blender’s toolbox to spin, transform, model & sculpt objects and you’ll see, what types of objects Blender offers. You’ll discover Curve & Text objects, Metaballs, Lattices, Empties and last but not least the Camera object and discover their properties. 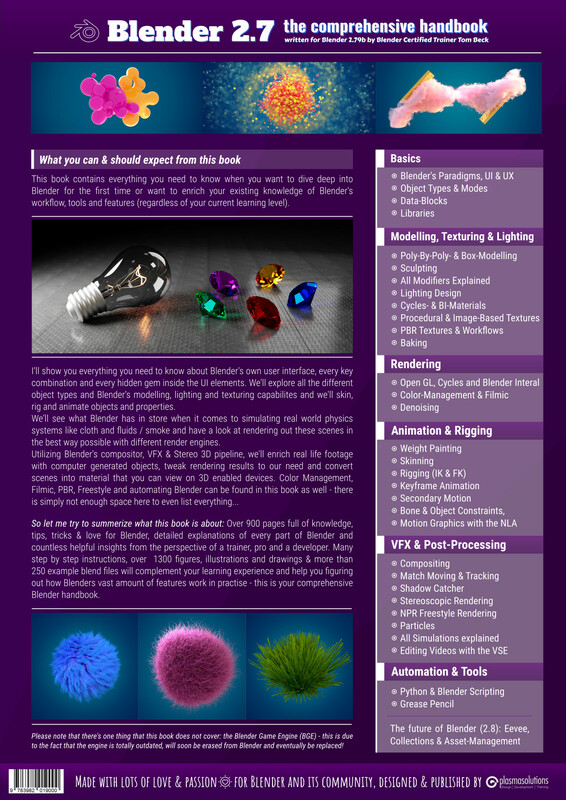 In this chapter, everything revolves around Blender’s mighty Modifiers – on 79 pages! It starts with an explanation about what modifiers are, which types exist and how you add, delete or mute – in short – work with them. Every modifier is visualized with an introductory image which shows you which purpose it serves, a comprehensive section where all its settings are explained and a *.blend demo file that shows you exactly how the modifier is used. In the sixth chapter, you’ll discover what a “render engine” is, which rendering techniques exist, how they differ and what engines Blender ships. The Blender Internal renderer & especially Cycles will be discussed in-depth as will virtual cameras that you’ll place, move and rotate in your scene. After rendering your first images with three different render engines, you’ll have a look at Color Management in Blender for 12 pages and learn why it’s so important to use Filmic in your work. Chapter 7 - Light? Naturally! The lighting chapter will teach you everything about – who would have guessed – lighting 🙂 You’ll learn how you affect the mood and shapes of a scene with only the lighting (and the cast shadows), how you guide the viewer’s eyes, see which lighting types Blender supports and how you adjust them. Then you learn how you alter Blender’s world & environment, get in contact with image based lighting, ambient occlusion, portals, mesh lights, volumetric lights and mist. Finally, the chapter closes with a three point lighting tutorial which serves as a simple starting point for your own lighting adventures. In this (142 pages long) eighth chapter you’ll find everything about Shading and Texturing. You’ll see how the Blender Internal (BI) & the Cycles renderer handle texturing tasks like UV-Unwrapping, get to know, procedural and image-based texturing & mapping and discover all settings in this area. Further down the chapter, you’ll learn how to utilize Blender’s node editor to create amazing textures, how to Texture Paint with Cycles and BI, you’ll discover all available surface shaders (BSDFs), the Physically Based Rendering / Shading (PBR) workflow, Texture Baking and much more. The ninth chapter will carry you to the amazing world of 3D animation. You’ll learn how classical animation started in real life and how the tools the artists used back then were transferred into the digital animation workflow we use nowadays. Next, we’ll have a look at Blender’s animation system, learn how to set, alter and delete keyframes, set up inter- and extrapolation and Shape Keys. While on it, you’ll get to know the Graph-, Dope Sheet-, Action- & NLA-editor and watch Blender automagically animate objects on paths. A 20 pages section about the amazing Blender Grease Pencil and its accompanying 2D / 3D workflow, followed by an explanation about Markers, Motion Paths and how to render your animations is rounding up this chapter. This chapter will help you when want to animate more complex object compounds or meshes. You’ll learn what Armatures and Bones are and how to set them up yourself. Before that, you’ll discover how Blender’s Weight Painting and the associated tools will open up a whole new world of animation possibilities. Binding Armatures to meshes (Skinning), Bendy Bones, animating via Forward and Inverse Kinematics and limiting animation with Bone Constraints will round up the chapter. While we manually animated every bit in the last chapter, this eleventh chapter will show you the amazing world of particles and introduce you to Blender’s hair simulations. You’ll learn which particle types exist, when and how to use particle (& hair) systems in Blender and how to bake, store and replay them. Particle children will magically turn sparse hairs into volumetric braids and hair edit tools will help your hair to keep in shape. At the end of the chapter we’ll have a look at global and local force fields and how they affect particles & hairs. We’re rounding the chapter up by looking at how to render particles and hairs with Cycles and the BI renderer. The twelfth chapter will let fall in love with Blender once more: It’s all about simulations. You’ll learn how to activate, bake and mute simulations in your scenes, and get in heavy contact with Cloth-, Soft Body-, Dynamic Paint-, Fluid-, Smoke-, and Rigid-Body simulations. All important settings and many examples will show you how to tame over-boarding simulation times and how to create beautiful, automated and believable animations. This will be so much fun – promised! The last 12 chapters were mainly focused on creating digital content – the thirteenth chapter is focused on enhancing and combining this content (also known as Compositing). I’ll introduce you to origins of compositing, the concept of layers (render, scene, exclude and mask layers), render passes (direct / indirect diffuse, glossy, …) and explore Blender’s integrated compositing tools like the Compositing Node Editor. Later, we’ll explore in depth how Blender’s mighty stereoscopy pipeline works, how to generate stereoscopic images & videos and how to denoise renderings. We’ll close this chapter by an extensive view at non-photorealistic-rendering (NPR) with Blender’s Freestyle module. With the fourteenth chapter, we’ll continue our voyage from chapter 13 – we’re now integrating computer generated content into real life footage. Starting with a definition and overview of the available techniques in the industry we’ll continue by analyzing the tools that Blender offers in this regard, the tracking process, how to clean up tracks and generate a proper representation of a real life scene in Blender and how to stabilize footage. We’re closing this chapter by having a in-depth look at Masking & Rotoscoping and how to use a Blender’s Shadow Catcher to seamlessly integrate your cg content into your footage… all of the mentioned topics are of course all supported by tutorial sections and example footage. Chapter 15 is caring for an oftentimes mistakenly ignored part of Blender: The Video Sequence Editor (VSE). You’ll learn how to insert & delete clips (Blender calls them “strips”) into your timeline, how to deal with different frame rates, how to edit, color grade and modify your strips. Then, we’ll have a look at the different types of strips and what they are meant for, how to perform transitions between them and slow down / speed up playback time. On top, we’re having a look at how to switch between different cameras in the scene by using the VSE and how to compare different strips quickly and visually. The 16th is a bonus for all of you that don’t “just” want to create awesome art with Blender but want to integrate Blender deeply into their own pipeline or want to automate repetitive tasks. You’ll learn how to enhance Blender’s toolbox with existing add-ons, program in Python, how to call Blender’s operators from scripts and how to write and debug your own operators from scratch to extend Blender. The 17th chapter will set you free: You’ll learn what great Blender resources are out there in the internet, how to work with us developers on improving Blender and in what direction Blender is currently developed. We’ll have a look at Blender 2.8 at 8 pages, its planned changes (Collections, Eevee, Micropolygon Displacement, …) and how to keep informed about fancy new Blender stuff in the future. After the previous explanations and the design impressions from the attached images I bet you’d like to have a real look inside the book?! If so, click here and download a pdf which contains 40 pages of my book: 17 pages that you every major headline you’ll find in the book and 23 pages with actual content (both from the “Lighting” and the “Particles” chapter). Have fun! I’m glad you ask 😉 as there is indeed one thing that I have explicitly excluded from this book: the Blender Game Engine (BGE). With Dalai & Mike’s BGE book available freely on github there is already well written documentation available to get your feets wet with the (ancient) integrated game engine – and with Blender 2.8 erasing the old BGE completely (& replacing it with a more unified one) it would not make much sense to describe it at this moment in time. This can change though when Blender 2.8 got some stable releases including a BGE. And this is only a simple key combination – imagine the totally (NOT) fictive replacement of all user interface icons that you interact in the user interface … twice … in 6 days. What I want to emphasize here is not that this is a bad thing or that I hate developers (I’m a dev 😉 ) – it’s amazing to see Blender grow so fast and being developed further, both feature- and design-wise. But it’s just much too early to document anything about the current state in a written form. 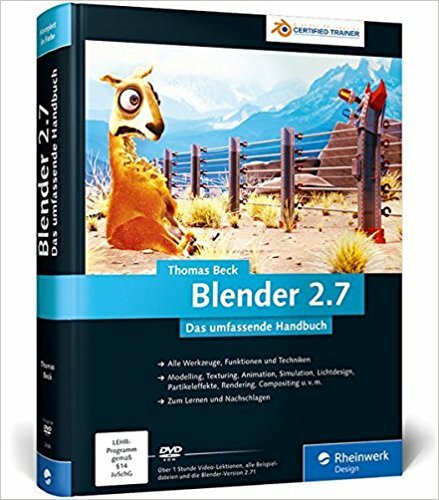 But one thing is sure: When there is a stable version of Blender 2.8 – and I don’t mean the very first official release of 2.8 then I’ll definitely tackle this beast. And I’ve got some very interesting ideas in my mind to make you participate more easily on that – stay tuned! Last but not least one thing: Yes, you as my awesome reader will definitely get a significant discount for a yet to be written 2.8 book. I value your support super high and will definitely show it! Andrew Price: If you want a super comprehensive Blender guide to reference when needed, I’d recommend this. If you are a student, totally into the book but can’t afford to pay the whole price, then contact me and I’ll see what I can do to make you happy 🙂 I started super small many years ago – one person, a very low client/payment ratio and no work to do – so I still remember very vividly how it is to be short on cash. Watch out for our specials and DM / mail me if you’re uncertain if you’re eligible for the reduced rate – I’m not here to rip you off. If you want to endorse our product digitally, contact me as well – I’d love to have you on-board! This book contains an enormous amount of Blender love and passion – I wish for nothing more than that you will have as much fun reading this book as I had writing it in the last 6 years! But if you find anything that I should know, fix or if you just want to say hello, write me – I cant wait to hear from you! Stop talking - I'll buy it! Wow, it’s amazing to hear that, thanks so much! By buying this eBook, you’re supporting me, my family and even the Blender Foundation! Starting 2019, we’ll transfer 5% of our book sales every year to the Foundation to support the development of Blender and the developers working on it – so thank you on their behalf as well! Blend on!